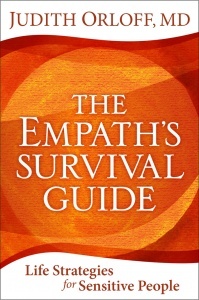 In my books, “The Empath’s Survival Guide” and “Emotional Freedom” I describe emotional empaths as a species unto themselves. 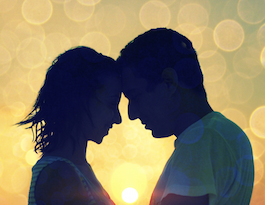 Whereas others may thrive on the togetherness of being a couple, for empaths like me, too much togetherness can be difficult, may cause us to bolt. Why? We tend to intuit and absorb our partner’s energy, and become overloaded, anxious, or exhausted when we don’t have time to decompress in our own space. We’re super-responders; our sensory experience of relationship is the equivalent of feeling objects with 50 fingers instead of five. Energetically sensitive people unknowingly avoid romantic partnership because deep down they’re afraid of getting engulfed. Or else, they feel engulfed when coupled, a nerve-wracking, constrictive way to live. If this isn’t understood, empaths can stay perpetually lonely. We want companionship, but, paradoxically, it doesn’t feel safe. One empath patient told me, “It helps explain why at 32 I’ve only had two serious relationships, each lasting less than a year.” Once we empaths learn to set boundaries and negotiate our energetic preferences, intimacy becomes possible. a week. Because non-empaths may feel lonely sleeping alone, make compromises when possible. You may be thrilled about your beloved until you live together. Experiment with creative living conditions so your home isn’t a prison. Breathing room is mandatory. Ask yourself, “What space arrangements are optimal?” Having an area to retreat to, even if it’s a closet? A room divider? Separate bathrooms? Separate houses? I prefer having my own bedroom/office to retreat to. I also can see the beauty of separate wings or adjacent houses if affordable. Here’s why: conversations, scents, coughing, movement can feel intrusive. Even if my partner’s vibes are sublime, sometimes I’d rather not sense them even if they’re only hovering near me. I’m not just being finicky; it’s about maintaining well-being if I live with someone.